The British heavy metallers Judas Priest, who in March go on a large-scale tour to celebrate the release of their new album "Firepower", announced that the band’s long-standing guitarist, 70-year-old Glenn Tipton, will not be able to go on tour due to an exacerbation of Parkinson's disease. 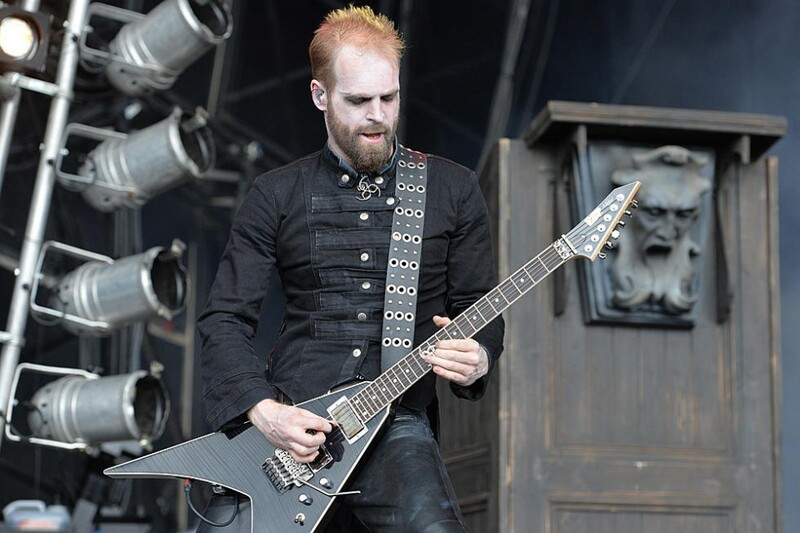 Tipton is reported to be replaced by the famous British producer and musician Andy Sneap — a member of the band Hell, who has worked as a producer and sound engineer with acts like Amon Amarth, Arch Enemy, Exodus, Kreator, Testament, and also produced the upcoming Judas Priest’s album "Firepower". "Ten years ago Glenn was diagnosed to have the onset of the early stages of Parkinson’s — from then until recently Glenn has lived his life as the great heavy metal guitar player he has always been, maintaining by his own definition a standard of quality and performance that is incredibly important. "I want everyone to know that it’s vital that the Judas Priest tour go ahead and that I am not leaving the band — it’s simply that my role has changed. I don’t rule out the chance to go on stage as and when I feel able to blast out some Priest! So at some point in the not too distant future I’m really looking forward to seeing all of our wonderful metal maniacs once again"
Rob, Richie, Ian and Scott have this to say: "We have been privileged to witness Glenn’s determination and steadfast commitment over the years, showing his passion and self belief through the writing, recording and performing sessions with Priest — he is a true metal hero! We are not surprised by Glenn’s insistence that we complete the Firepower tour and thank Andy for joining us to make Glenn’s wishes become real — As Glenn has said we also can’t wait to have him with us at any time any place on the road... We love you Glenn!" Parkinson's disease is a slowly progressing chronic neurological disease, which is usually faced by people of older age group. As the symptoms worsen, it becomes more difficult for the patient to cope with everyday affairs and lead an independent life. Judas Priest's new album "Firepower", which will be the 18th full-length record in the band’s discography, comes out on March 9 via Epic Records. The title track of the LP can be found on the link. The North American part of the tour in support of "Firepower" starts on March 13 in Wilkes-Barre, Pennsylvania, and will end on May 1 in San Antonio, Texas.